With windows shut tight when our heaters are blasting or our air conditioning humming, it allows full reign to those germs and toxins to multiply in our homes and our workplaces. Let’s not allow that! After all, that increases stale air, offensive smells as well as our chances of catching a bug, creating a serious illness, worsening allergies and lots more. It is not too difficult to fix all that, though! Come along and check out how to easily clean the air at your place and make your home smell great! Tap into these strategies here that offer quick solutions to musty smelling rooms and toxin-laden environments. Most of these tips do not require repeated efforts either so a bit of time devoted to cleaning your indoor air can reap health benefits for years to come. So, see what solutions you can implement below to rest easy and breath deep to clean air and an amazing smelling home! 1. Indoor air may carry more toxins and chemicals than outdoor air. In fact, indoor air quality can be up to five times more polluted than outdoor air, and since most people spend a majority of their time indoors, it is a good idea to give it some effort to clean up our indoor act . . . no? 2. Some gases in your home can cause serious diseases. Those diseases include lung cancer, emphysema, and COPD. Those gases can aggravate asthma and allergies, too. 3. A moldy and mildewy smell usually means . . . a moldy, mildewy home. It is lurking somewhere making your place not very inviting to spend time in and making those that dwell there prone to allergic reactions and more. 4. Poor indoor air can make your life less productive. Indoor air pollution has been connected to headaches, frequent colds and sore throats, skin rashes and even eye irritation and dizziness. When you’re feeling poorly, who feels like doing much? 1. Unlock the windows and doors and welcome fresh air . . . year round! Not only allow that air in your home, it is a great idea to pull on your woolies and get outside even in winter, preferably not near heavily trafficked roads, to let that fresh air deep into your lungs. If you smoke, please quit! It is imperative you do so for your health and those you live with. But, for those friends who do light up, ask them to do so outside – not in your home. Even the Surgeon General states that there is no safe level of secondhand smoke. 3. Delete odorless gases that can kill. These two gases may not make your home smell off, but they can do much more harm! There are two odorless gases to watch out for and both are easy to detect with the right equipment. First, install a carbon monoxide detector or ensure it is included in your smoke alarms and have a technician check your heating units for carbon monoxide leaks each year. Second, check for radon with a kit you can easily buy for very little money to see if your home has an issue with radon. If so, remedy the issue as it is a leading cause of lung cancer. Don’t miss this: Here is more information on radon and its ill effects. 4. Keep toxic products out. The best way to not have chemically smelling air in your home is to not have sources of chemicals in the house. Makes sense, right? This goes for hair and nail products, cleaning products, art and hobby supplies and other common products that can increase the levels of toxic chemicals and strong chemical smells in your home. Choose alternatives when possible. Look for products that are marked “low VOCs” and be sure to open windows and use exhaust fans if you must use any strong chemical to remedy stubborn mold and mildew in your shower, for example. Dry cleaning solvents can be toxic to breathe, too. Remove the plastic protecting your dry cleaning and let dry-cleaned items air outdoors before bringing them inside to prevent chemicals from entering your home. Search for an organic dry cleaner, too. Don’t miss this: Cleaning tips to keep the flu bug out of your house with five minutes a day and here is how to have great looking nails with no chemicals. 5. Decorate with natural things. There is a lot of research on particular houseplants that can naturally detoxify and clean the air, thus, if you have the proper lighting conditions in your home, it may be a good option for you. Reach for pure beeswax candles rather than their petroleum-derived counterparts that can release chemicals like benzene, toluene, soot and other chemicals into the air. Beeswax candles burn with almost no smoke or scent. Use only natural scents in your home like organic essential oils. Those sprays and plug-in air freshener have been found to emit harmful VOCs, including seven regulated as toxic. Don’t miss this: Plants that clean the air in your space the best. 6. Display the glow of salt. Himalayan salt lamps I see everywhere and I became intrigued regarding their possible natural air purification benefits. I purchased one for my daughter as a gift as this article depicting its benefits had me convinced it was a great idea for her and plan on purchasing more! This article provides more details on good spots to place salt lamps, how many you need to be effective and other important tips. Don’t miss this: Speaking of pink salt, here are the many reasons you should ditch the white salt and go for the pink in your cooking for lots of health benefits. 7. Buy the right filters. Use a higher-rated filter like a HEPA on your heating and cooling units as well as your vacuum so that all the particles you are cleaning and cleaning don’t get blown right back out into the air. Turn on the bathroom fans and leave them on for about an hour after every shower or bath to help deter mold and mildew from forming that may require strong chemicals for their removal. Also, when cooking with gas, ensure your hood is vented to the outside and turn the fan on whenever a burner is in use. Don’t miss this: 21 cleaning tips for the kitchen to make it go a whole lot faster! 9. Invest in an air purifier. Air purifiers can do a lot to improve your indoor air quality but if you are thinking of buying one, this article does a great job of clearing up any myths surrounding them. Don’t miss this: Here are more great buying tips for air purifiers. See my interview here with a top air quality expert for more tips and tools to protect your family from bad air. Check out this Pinterest board “healthy home” that is chock-full of great ideas to help you get your space looking great, naturally smelling clean as well as organized and clutter-free — all to best support your healthy lifestyle. So, do you have a salt lamp? What about an air purifier? What’s your experience with it? I’d love to know or if you have any other tips to add to the list, please do! It is a point of a healthy lifestyle that can get forgotten. So happy to hear you, too, find it important. I means a lot that you found the article to have helpful information. Thanks for coming by. I have a bowl of dried lavenders in my rooms, especially in the guest bedroom. I myself don't like the smell of lavender but my guests like it. In the winter I put in a pot to boil, a stick of cinnamon, some cloves, a couple of star anise, and a slice of orange, if it gets low, I add water. And RIGHT BEFORE a guest comes through the front door I spray the door with lemon and vinegar, it smells nice and lasts about an hour or so..
All great ideas, Marisol! 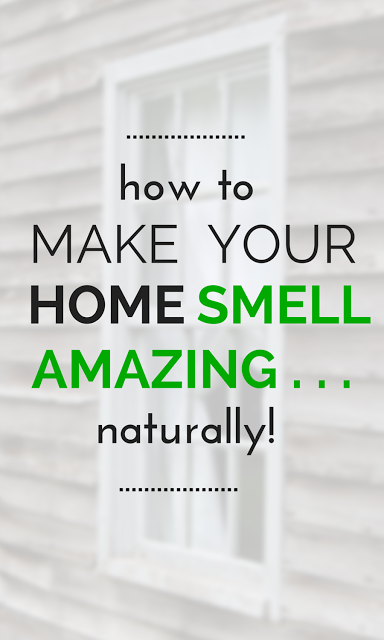 I bet your house smells so nice and all naturally done! After my daughter was born, I purchased an air purifier. Money well spent. I also open the windows in the winter just to get some air flowing through. Thanks for a great article. All great measures, Kim! Great for you and your expanding family! Welcome to motherhood! Welcome, Michele, and happy to hear you like the site! Thanks for taking the time to comment as I think you broke a record here at THM! I really appreciate you adding to the conversation. I do provide a lot of links to studies, research through most of my posts and I do hope you go back and tap on them for more as I try to stay at eye level, so to speak, and not go off on too many topics at once to keep to one message. I don't want to overwhelm here at THM and give readers ideas of all the possibilities they can choose to be more health-minded. 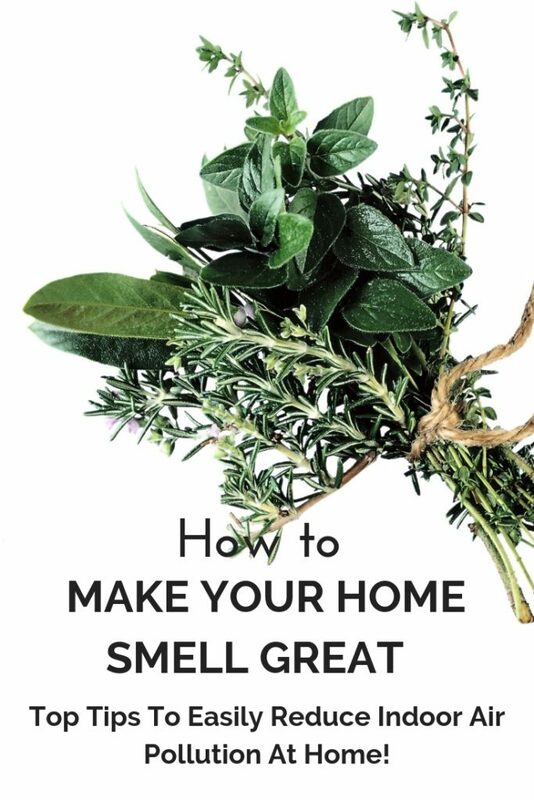 You may want to check out my post on 5 Natural Easy Deodorizers where I go into a bit more about scenting the air in your home naturally as my idea here on this post was more that fresh air without health hazards clears the air on its own and a better smelling place occurs . . . .naturally. Thanks again for coming by! Essential oils were also briefly mentioned. Sad that they only got a brief mention because these little bottles carry tiny powerhouses! You referred to them as "therapeutic grade"; however, there really is no such thing. That is simply a marketing phrase. There is, unfortunately, a vast array of varying quality of oils as it is an unregulated industry. You definitely want to make sure you are getting a quality oil, but just because an oil is labeled "therapeutic grade" does NOT guarantee its quality! Search for guidelines to quality oils and make sure the guidelines come from a reputable source such as (and I'm not getting the name exactly right, but it will get you close. Sorry, it's that post concussion syndrome thing again.) International Aromatherapy Association and not an oil company or one of their distributors! I will say straight out that BOTH Young Living AND doTerra are wonderful quality oils! But there is so much trash talk between the two companies that you have to be careful, which is truly very, very sad! Essential oils are beautiful, and potent, gifts from nature that can do so much good (and harm if misused!!!) that it's a shame that those two companies have gotten so wrapped up into such an ugly battle, pulling in their distributors as well, that they've lost sight of the actual purpose of their companies and their products. Essential oils are a fantastic way to naturally freshen the air, but did you realize that they actually CLEANSE the air as well? You can avoid bringing toxic chemicals into your home to use for cleaning by using essential oils instead! Oils are as efficient, if not more so, than all those chemicals! Even the most stubborn mold and mildew can be eliminated using essential oils! And they not only clean the mold and mildew from the surfaces, when diffused, they can eliminate spores from the air too! Without harming you or your pets (although caution has to be used with certain oils and cats, even when diffusing!)! There are special mold removal companies that have tested, documented, and switched from harsh chemicals that required removal of all living beings from the homes during treatment to essential oils! Do a search for essential oil mold remediation; that should take you to the documentation from the testing done. It's absolutely amazing! The one big, huge thing I need to beg for everyone to heed my plea for your safety regarding essential oils is that you NEVER, EVER use them internally without the specific guidance of a certified, trained aromatherapist!!! This does NOT include asking your dr! He/she most likely has very little experience with oils and would probably give you a green light. The internal usage of essential oils is only safe when carried out under the supervision of an experienced, trained, internationally certified aromatherapist for a specific purpose and length of time!!! Right now it is very popular to ingest all sorts of oils on a daily basis even several times a day, and this is at the recommendation of someone who simply paid a fee in order to get their oils at a wholesale price and until recent had never even heard of an essential oil! THIS IS NOT SAFE!!! I simply cannot stress this enough! So, thank you for your info! I hope my super long comment provides someone with something they can use. Until next time, please be kind to one another! I do agree that the information provided was good stuff but the content didn't support the article title, but whew! Salutations! This is my first time at your site, and I'm impressed enough with both the quality and validity of your information that I signed up for your newsletter! So it looks like I'll be browsing around for some time to come and looking foward to it. Just as an FYI, I came to your site by way of Pinterest, in case you like to track your traffic flow. I'm a very straight-foward, honest, and direct type kind of person, and I like to receive the same from others. I do realize, though, that not everyone likes to be on the receiving end of that sort of approach, so i try my best to practice tact and diplomacy when I just can't seem to keep my mouth shut. While i did enjoy the (intended and sometimes present) content of this article, I often felt like just as each point was brought up, and one or two (semi-)supporting sentences were given, you moved on to the next point, leaving me hanging wondering where's the rest of the info. You often provided links to other articles that go (hopefully, I haven't read them yet) into more detail, and for that I'm grateful. I don't mean to sound like a Negative Nelly because overall I did enjoy the article. I just wish it provided more of the info the title suggested. Instead it seemed to provide more of the reasons why our homes might not smell as fresh rather than how to get it that way. Now, that being said, I love the suggestions you did make! Open windows? Yes, please! Air purifier? That is on my list to be purchased this year! Although, I will mention that I read somewhere that it's best not to have them too near your face as they can actually increase wrinkles! My apologies, as when I started typing that I had it in my head the science behind why that happens, but by the time I finished typing just that one sentence and was ready to start typing the why, it was gone! I'm currently suffering from post concussion syndrome, and it wrecks havoc on my memory and is truly frustrating! So, again, I do apologize. Perhaps you could do a search and find some material to which I was referring. As for the plants, there is actually a list floating around in cyberspace of the plants NASA uses to purify the air at the space station and such! There are many lists you can find via a search for "air purifying plants". Those would be the ones to get, and as an added bonus, most of them are especially easy to care for! The Himalyan salt lamps are spectacular! That is another thing on my list this year. One of the ways it works to purify the air is by emitting negative ions. In addition to the air purification, they also have numerous other purported health benefits, such as reducing the occurance of headaches/migraines. I really needed to read this. I've been wondering about air purifiers, and I would like to look into some of the more natural options. I didn't know that salt rocks had purifying effects. That's so interesting. Pinning, stumbling and tweeting this post as well! There is so much we can do to clean our air and air purifiers can do wonders, Lindsey. My daughter loves the salt lamp I gave her recently and it puts off such a nice glow. Thanks so much for sharing this so others can learn how many great actions they can take to clean their indoor air! I'm loving your ideas! Your link to the plants that clean the air goes to the kitchen article. I'm new to your blog, so I don't know if you are into essential oils. (Specifically Young Living. You seem to be one to do your homework.) But a lot of these ideas would benefit from using EOs. Thanks for writing this! Glad you found me, Geniene, and that you took the time to say hello! Thanks so much for telling me about the link mix-up, too! That seems to be happening a few places so I will pop by and fix it. 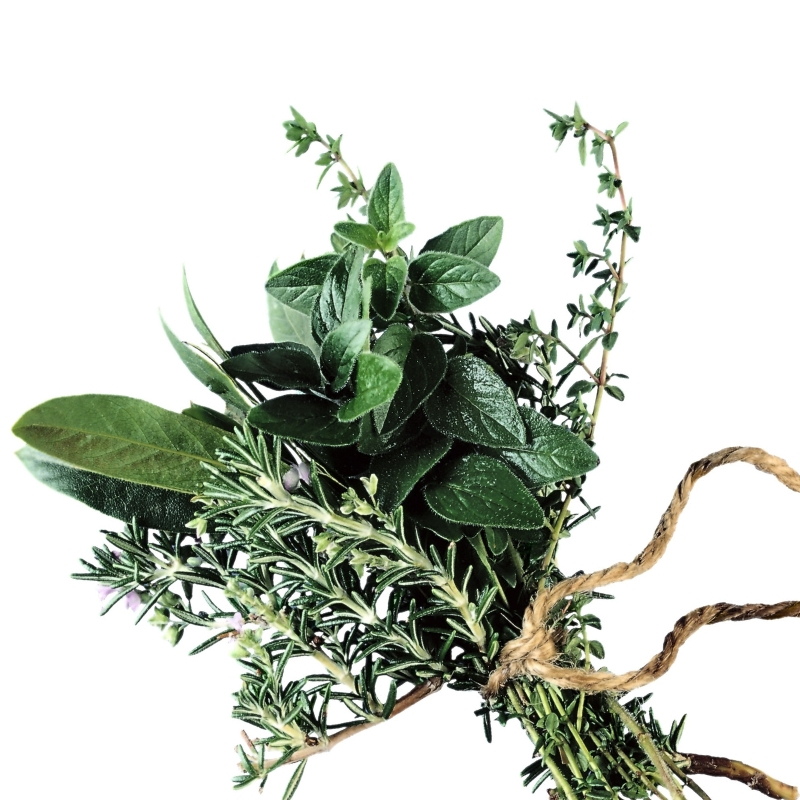 The scents alone can certainly elevate and energize when sick and anytime! Great idea! Carbon Monoxide is heavier than air so it sinks; smoke rises. Please purchase separate units for these as smoke detectors should be high on the wall or ceiling and carbon monoxide detectors should be near the floor. Valuable information, Rochelle! Thanks so much for adding in on that! The most important thing is to keep toxic products out. The quality of air is really important . If you want to take care of your health you should pay more attention to your air. Greetings! So true, Maggie and welcome! I have not seen you around here before! Thanks for taking the time to comment. Great tips and I do all of these. The lastest tips I added was the Himalayan salt lamps. I love the glow they give off. Tweeted. I need to get one too, Maria. I have been researching it and I know others that have them in their homes. Thanks for coming by. I agree with these tips and try to employ most of them in my home! Thank you so much for sharing these healthy, natural ways to easily purify the air at your place and make your home smell great at the Healthy Happy Green and Natural Party Blog Hop. I am so delighted that you are partying with us! I'm pinning and sharing. Thanks, Deborah! Good for you that you are on top of it! I am an open window fanatic, too, Danielle! Addicted to fresh air, I guess, all season long! Thanks for coming by and let me know if you get that salt lamp!! We have an air purifier and I'm glad my new scale also measures the air quality inside. My boyfriend suffers from allergies and it's already enough that the air at his office is bad (tested and proved). Thanks adding this very informative post on #tiptuesday . Sounds like a great purchase, Debbie and glad it is helping! I appreciate you always taking the time to comment here! I love this article! This is such an important topic as the weather gets colder and more people stay indoors. I need to look into beeswax candles! Beeswax candles are so pretty too when they burn and although more expensive up front, they last so much longer. Do try them! Another great informational article. We just received an air purifier and I can already tell the difference. What a nice gift to receive and that you are noticing a difference! I have heard great things about them. Thanks so much for adding in here. This is such a good post on fresh clean air. Thanks for bringing fresh to the party. My daughter has a salt lamp. I should think about one too. I would love to know more about the salt lamps! If you get one, Kathleen, let me know what you think please! Happy you liked the post! I love that you open your windows year-round, Launna! I love fresh air too – my favorite air freshener on the market! Thanks for coming by and letting us know what works for you!